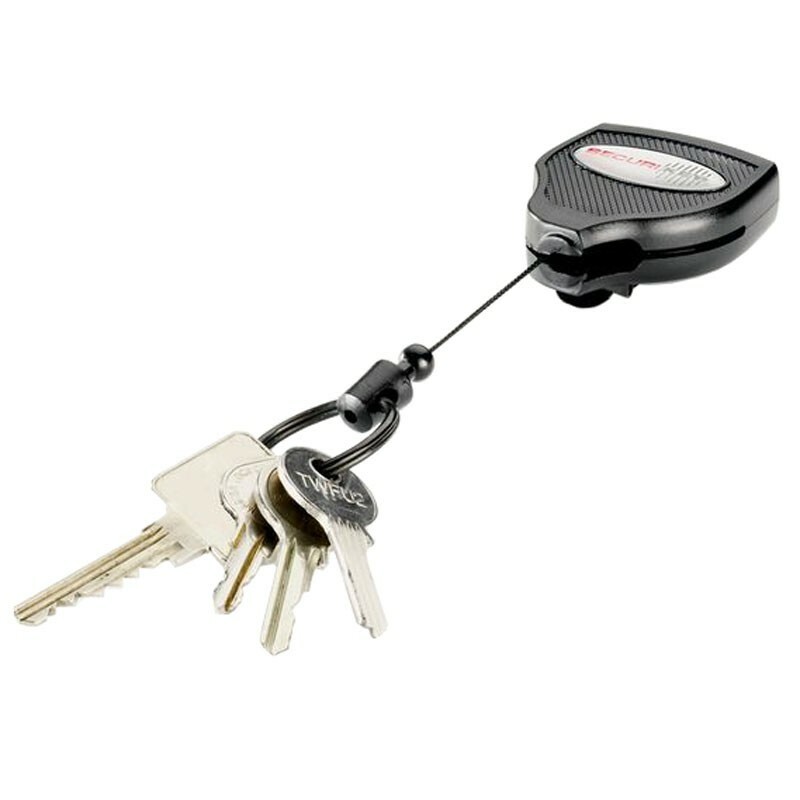 Securikey Deluxe Super Duty Keyreel. Rugged deluxe extra heavy duty self-retracting key reel. Ideal for heavy items, such as larger bunches of keys or hand tools. Polycarbonate casing with 900mm of high strength Kevlar cord. Spring clip fixing for attachment to belt, waistband or handbag. Includes pin for conversion to belt loop fixing. Unique ball & socket feature transfers the weight to the wearer. Will carry up to 425g or 22 keys (approx).